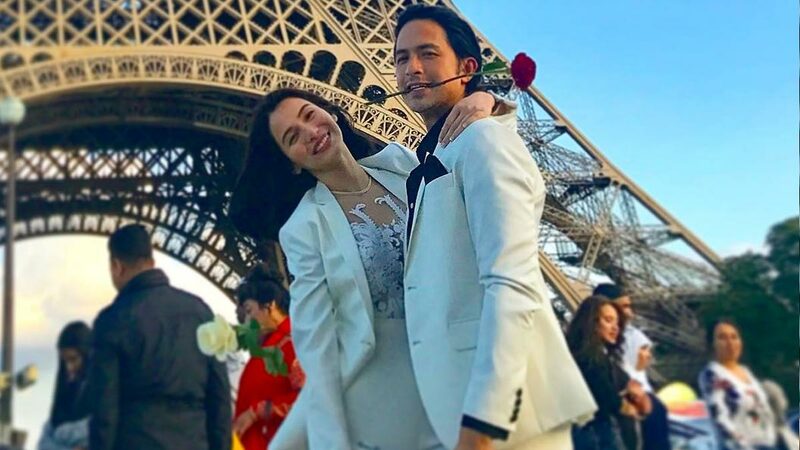 Over two years after getting back together, it looks like Dennis Trillo is now comfortable in calling girlfriend Jennylyn Mercado his "life partner." In a press conference for his upcoming television series, The One that Got Away, the 36-year-old award-winning actor shared how they have grown into better partners following their first breakup in 2011. "Siguro mas nag-mature 'yung pag-iisip ng konti kaya mas kaya namin i-handle 'yung relasyon ngayon—lahat ng mga nangyayari," he said. He even described their present relationship as "mas kalma." Dennis, who plays the ex-boyfriend of Kapuso actresses Max Collins, Lovi Poe, and Rhian Ramos in his new rom-com series on GMA-7, also noted that this is the first time he's ever gotten back in a relationship with an ex-girlfriend—and he said he's never regretted it. Dennis also revealed that he and Jennylyn share same interests and they both respect and support one another now more than ever: "Siguro 'pag mahal mo 'yung isang tao, kailangan mo suportahan sa lahat ng mga gusto niyang gawin, sa lahat ng bagay na magpapasaya sa kanya." With the slew of recent celebrity engagements, are Dennis and Jennylyn the ones next in line? Dennis shared, "Feeling ko, hindi maganda kung ipe-pressure namin 'yung sarili namin. Para at least, kung mangyari man 'yun, pareho naming ginusto, hindi pinilit or na-pressure dahil ganoon 'yung nangyayari at nauuso sa mga nakikita."